Kenneth Hewitt (1937- ) was a professor of geography and environmental studies at Wilfrid Laurier University in Waterloo, Ontario, from 1976 until his retirement in 2002. Hewitt earned his BA and MA at Cambridge University, and his PhD at London University. He is a founding member of the Cold Regions Research Centre. Hewitt has been the recipient of many research awards. 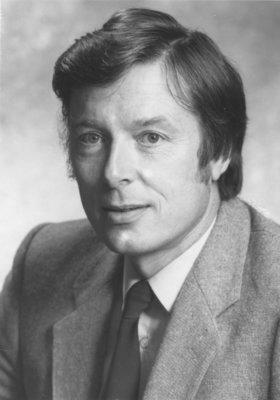 Hewitt was proclaimed Wilfrid Laurier University Research Professor for 1988-1989, and received the Award for Scholarly Distinction in Geography from the Canadian Association of Geographers in 1991. The fonds consists of publications, reports, correspondence, papers, maps, surveys, notes, inventories, newspaper clippings, statistics, and other material produced and accumulated by Kenneth Hewitt. Fonds is comprised of the following series: Personal; Publications; Risk, hazards and disasters; Armed violence/peace research: hazards of war and armed repression for civilian populations, settlements, and habitats; Geomorphology; Geography: theory and profession.